2015 Ford Escape For Sale in Vernon, Kelowna, Okanagan, BC. When you can’t decide between having the comfortable interior space of a car and the cargo room of an SUV, the 2015 Ford Escape makes it easy by giving you both. With seating for five and plenty of cargo room and storage options, it makes every ride more enjoyable and efficient. It comes in three trim levels to fit your needs: S, SE and Titanium. Sculpted wheel arches and a trapezoidal-shaped lower grille create a profile that is ready for action even when it is standing still. Dual exhaust tips that come standard on the SE and Titanium models and a rear spoiler add a sporty touch. While 17-inch alloy wheels come standard on the 2015 Ford Escape, you can customize your look with available 18 or 19-inch wheels. Further customization is available with accessories and bold body paint colours, such as Sunset Metallic and Karat Gold Metallic. 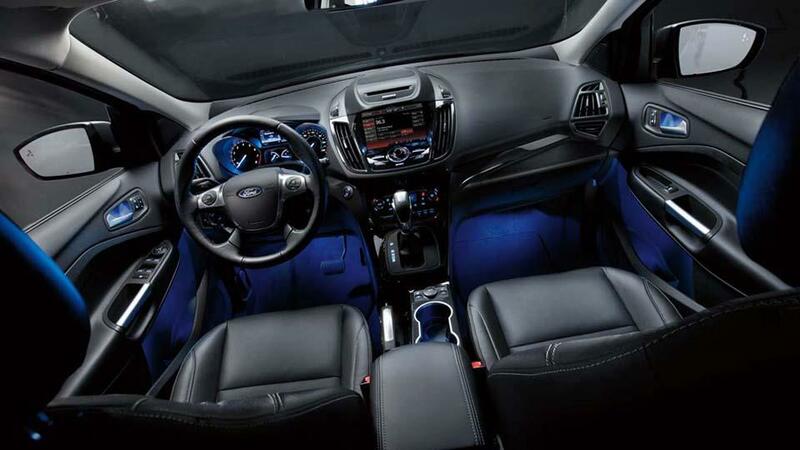 Features inside the 2015 Ford Escape provide the comfort and convenience you want and allow you to escape from the world outside. Choose between Charcoal Black and Medium Light Stone for your interior colours. Enjoy the sophisticated design that is contemporary and uncluttered. Available on the SE and Titanium models, the 10-way power driver’s seat is heated to keep you warm on those cold Canadian mornings. Ford SYNC® with MyFord Touch® is available on the SE model and comes standard on the Titanium to make it easy to adjust settings and stay in control while focused on the road. Bluetooth® capability keeps you in touch even when you are out on the highway. Easily manage the snow-covered roads and icy streets with the available four-wheel drive on the 2015 Ford Escape. Torque vectoring control provides smoother handling, especially around curves, and increases the agility of the SUV in all situations. Each trim level comes equipped with its own engine so you get the power you want. All models include the six-speed SelectShift® automatic transmission. 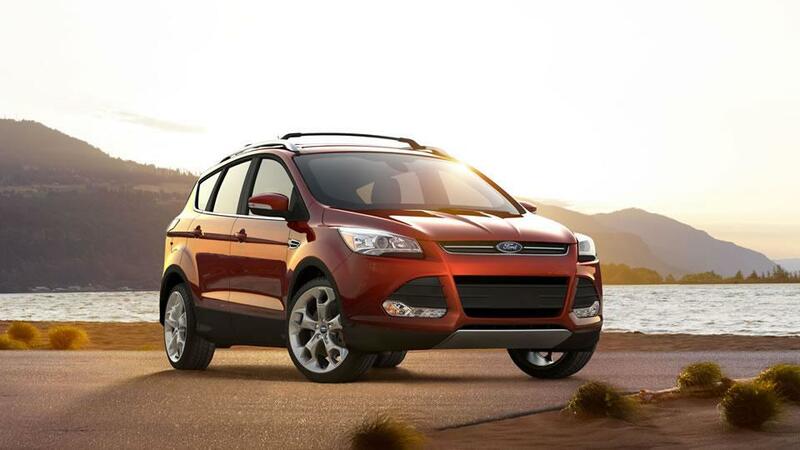 The 2015 Ford Escape is an affordable option for today’s drivers. Enjoy peace of mind on every adventure with the 2015 Ford Escape. The 2015 Ford Escape is backed by a solid warranty. 2015 Ford Escape for sale in Vernon, Kelowna, Okanagan Valley, B.C. 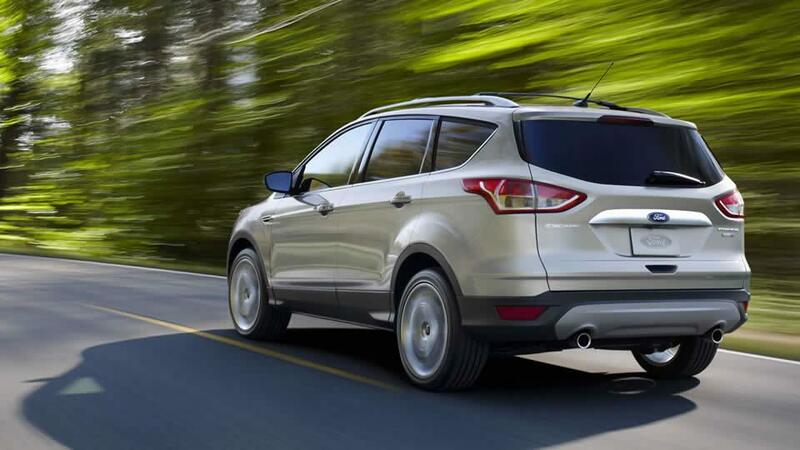 Let the road take you where you want to go in the 2015 Ford Escape. With the stylish design, spacious cargo room and capability, this SUV has everything you need for your next family adventure. Visit your local Okanagan Ford Dealer – Watkin Motors Ford to check out the 2015 Ford Escape or another new or used model in our vast inventory. Find the vehicle that is made for your lifestyle and budget to drive home. Stop by Watkin Motors Ford, located at 4602 27 Street in Vernon, British Columbia.